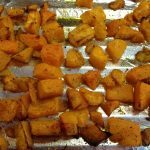 Thanksgiving is right around the corner and with the beautiful squashes in season I wanted to share one of my favorite recipes with you. 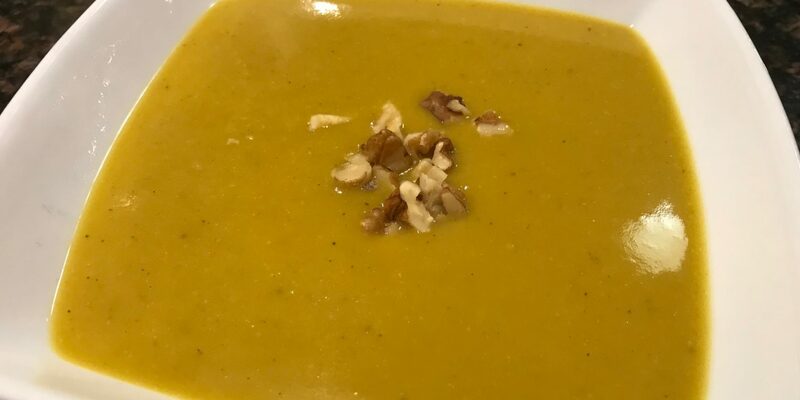 I make this Ginger Butternut Squash Soup throughout the year because I love it that much. Super creamy and delicious, and so good for the digestive system, I look forward to diving into a bowl every time one is in front of me. Add it to your Thanksgiving menu or enjoy it any day of the week. It’s that good! There’s something so soothing about squashes. They aid digestion, adding fiber, vitamins and minerals for the body to absorb. Ginger, another digestive aid, also adds great flavor and a little spice. 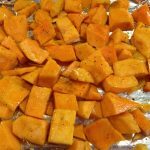 It balances the sweetness of the squash, and gives the soup more flavor without adding an unhealthy fat like bacon to do the job. Both tumeric and cinnamon also can aid digestion. Tumeric is an anti-inflammatory, and can help soothe tissues in the body. Cinnamon can even help lower blood sugar. You can choose which spice you prefer for your soup. Both complement the ginger and the squash, and both support your health. Squash when I take it out of the oven. Top this creamy, delicious soup with your favorite toasted nuts or try these Maple Spiced Walnuts! Peel and cut the squash. Toss with half of the oil, salt, and pepper. 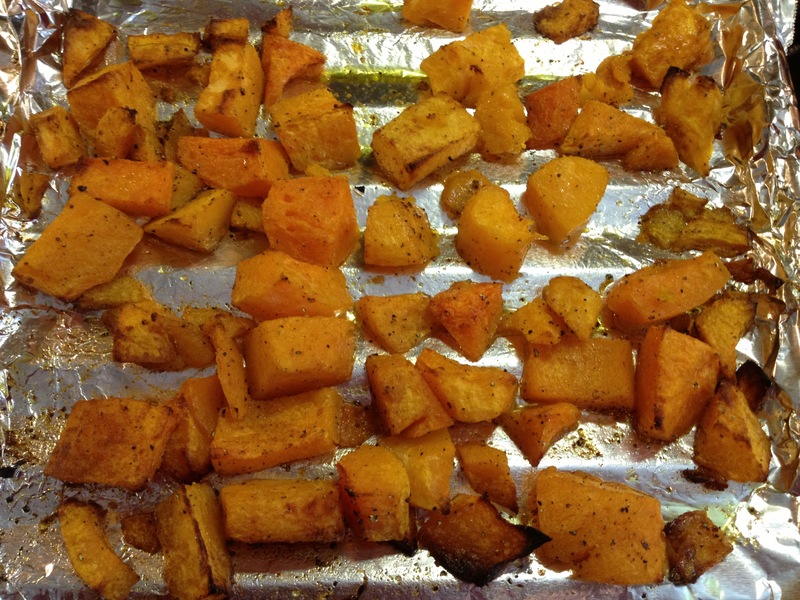 Arrange on a sheet pan and roast at 425 degrees for about 40 minutes, or until soft and tender. Heat a 6 quart stock pot to medium heat. Add the rest of the oil. Sauté onion for 5-7 minutes. Add the apples. Sauté for 2 more minutes. 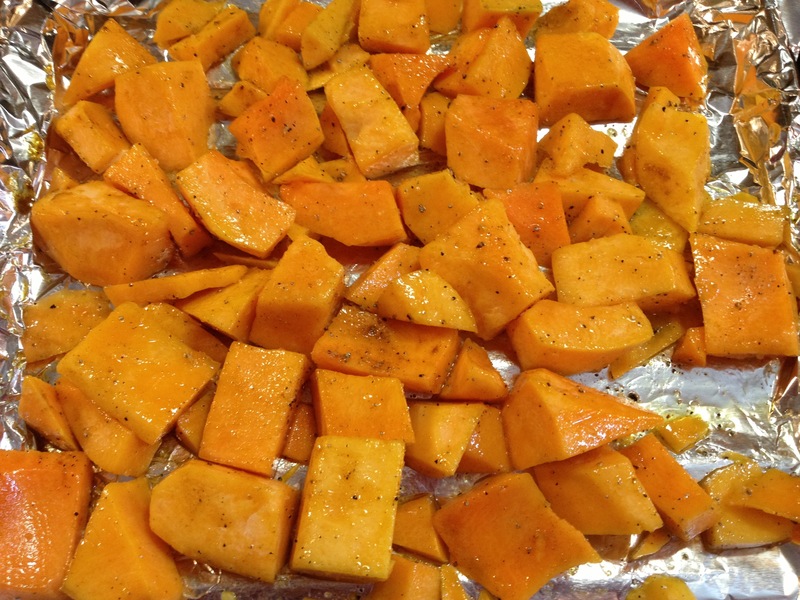 Add squash, grated ginger, and tumeric or cinnamon. Stir well and cook for about 1 minute. Add enough stock to cover all ingredients (about 4-5 cups). Bring to a simmer and reduce heat to medium low. Cover and cook until all ingredients are soft, 20-30 minutes. Remove from heat to puree the soup with the non-dairy milk in a high powered blender like a vitamix. Add milk as you puree to achieve desired texture. Add more milk if you want a thinner soup. Taste and adjust seasoning with sea salt and pepper as needed. Serve immediately topped with toasted nuts. Store in fridge for up to one week or freeze for up to 3 months.